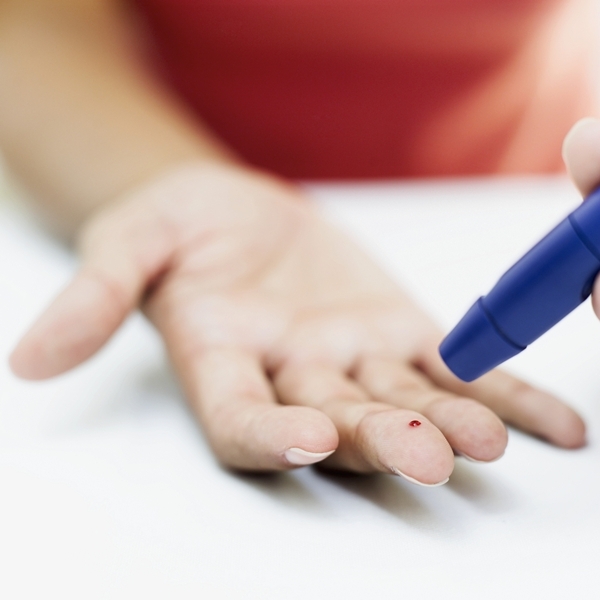 Could a Faulty Gene Be Responsible for the Onset of Type 2 Diabetes? Home » Diabetes Tips » The Real Reason You Have Diabetes? The Real Reason You Have Diabetes? If there’s one disease that’s more likely to cause you problems as you get older, it’s probably diabetes. This disease affects over 360 million people worldwide. Let’s take a moment to brush up on some diabetes facts. There are three main forms of the disease: type 1 diabetes, type 2 diabetes, and gestational diabetes. Type 1 diabetes affects 10% of the population of people with diabetes. It happens when the pancreas is unable to produce insulin. Type 2 diabetes affects 90% of the population of diabetics and occurs because the pancreas doesn’t produce enough insulin or the body doesn’t use insulin properly. Gestational diabetes is a temporary condition that occurs during pregnancy. When your blood glucose levels are higher than normal but not high enough to be diagnosed as type 2 diabetes, you are said to have pre-diabetes. If diabetes goes untreated, it can cause heart disease, kidney disease, vision problems, and damage to the nerves. Risk factors for diabetes include being over the age of 40, being overweight, being part of a high-risk group (Asian, South Asian, African descent, Aboriginal or Hispanic), having high cholesterol, having high blood pressure, or a history of diabetes in your family. Signs of diabetes include being very thirsty, urinating frequently, gaining or losing weight, feeling very fatigued, blurred vision, tingling or numbness in the hands or feet, and infections that are slow to heal. Lifestyle behaviors that help prevent the onset of type 2 diabetes include remaining physically active, eating a healthy, nutritious diet, maintaining a normal blood pressure, and maintaining a healthy weight. Sometimes, despite following all these recommendations, a person may be diagnosed with type 2 diabetes. Why does this happen? Researchers from the College of Medicine at the University of Illinois at Chicago, think they may have found an answer to this question. The researchers have discovered that the loss of just one gene is enough to cause a condition called “fasting hyperglycemia.” This condition is one of the main symptoms of type 2 diabetes. The researchers reported that when a gene labelled MADD stopped functioning properly, insulin was not released into the bloodstream. Without insulin, the body is no longer able to regulate blood sugar or glucose. If the MADD gene is functioning properly, beta cells (found in the pancreas) release insulin into the bloodstream to help regulate blood sugar levels (which can rise after eating a meal). The research team was able to prove how a malfunctioning MADD gene triggered fasting hyperglycemia. It was clear that without the proper functioning of the MADD gene, beta cells were unable to do their job of releasing insulin. The researchers found that the beta cells still produced plenty of insulin but did not secrete it into the bloodstream. The researchers concluded that the loss of a properly functioning MADD gene could be a direct cause of type 2 diabetes. The researchers hope that their discovery will help those who have type 2 diabetes as a result of a malfunctioning MADD gene. They hope to develop a drug that will step into the role of the malfunctioning MADD gene in order to better regulate blood sugar control. Paddock, C., “Single faulty gene causes major type 2 diabetes symptom in mice,” Medical News Today web site, Jan. 6, 2014; http://www.medicalnewstoday.com/articles/270816.php, last accessed Jan. 8, 2014. “Diabetes Facts,” Canadian Diabetes Association web site; http://www.diabetes.ca/diabetes-and-you/what/facts/, last accessed Jan. 8, 2014.